Far away there was a small island in the middle of the ocean. The inhabitants of it were absolutely happy. Everything was fine.. till one day the Volcano, which has been sleeping for three thousand years, woke up and almost destroyed the tribe. Poor people had nothing to do but the run to the other side of the island towards the ocean through the high mountains, impenetrable jungle and swamps in the hope to escape from this misfortune. 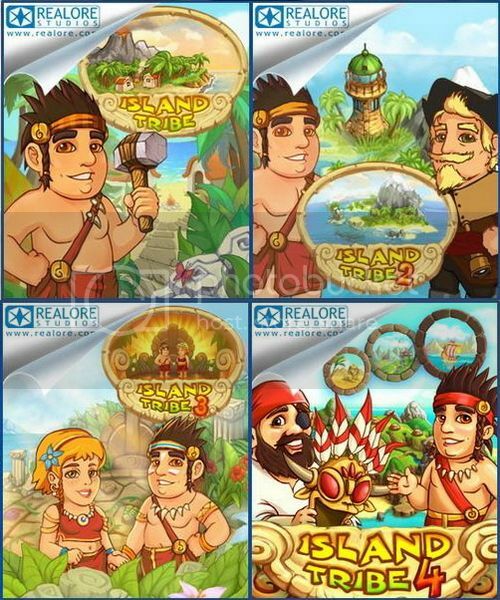 Help the leader of the tribe find his beloved one and open the doors of the ancient temple! Let's make their honey moon dream come true! Help the shaman get his true appearance back! After all the misfortunes the islanders are finally happy. They saved the Chief's stolen bride and celebrated the wedding. They even made friends with the evil shaman. It turned out that the shaman was in fact a pirate who was cursed after finding a shaman's mask. The desperate pirate told the story of his miseries and asked the islanders for help.